5 secrets behind Akshaya Patra’s success . Looking out of a window one day in Mayapur, a village near Calcutta, his Divine Grace A.C. Bhaktivedanta Swami Prabhupada saw a group of children fighting with street dogs over scraps of food. From this simple, yet heart-breaking incident, came the determination that no one within a 10-mile radius of their ISKCON center should go hungry. That is how Akshaya Patra was born in 2000. 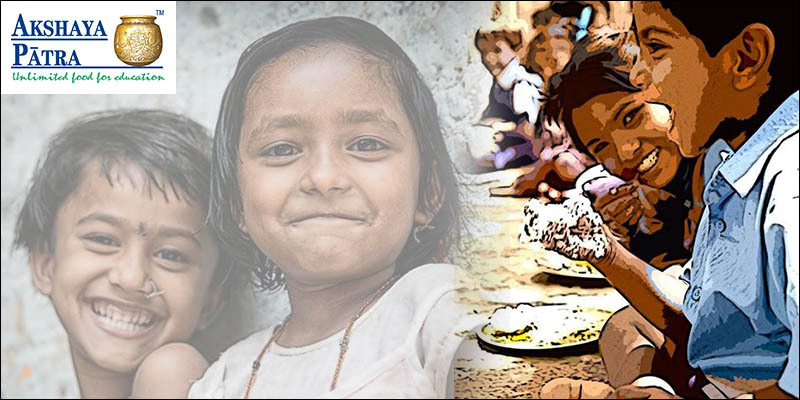 From that moment, Akshaya Patra has become a legendary organisation which feeds approximately 1.3 million children in nine states in India by partnering with more than 10,000 government schools through its mid-day meal programme. By doing so, they provide motivation and nourishment to students to pursue education for a better future. Impressed by these numbers and their impactful story, I decided to visit one of the Akshaya Patra kitchens in Bangalore to understand what motivates them. The outcome was these amazing lessons I learnt by observing their operations and talking with Sayani Bhattacharya, who works in the communications department, and who guided me during the visit. Find a big problem and its bigger solution. Akshaya Patra has redefined the concept of a community kitchen. Here they have silos of rice and daal, tubes that move the food from one floor to the other, workers who check the quality of the food and maintain reports. Everything flows in a perfect way in order to serve as many people as possible. Efficiency is key to their business model: no other organisation in the world is able to produce hygienic and good quality food at such low costs. They are able to do it because of their superior quality and unlimited quantity of food. A typical meal consists of rice, chapattis, sambar, dal and curd; a complete meal that helps children to concentrate better which in turn increases their performances. Akshaya Patra was born from the fusion of two groups: ISKCON, a faith-based group in India, which had the expertise in cooking on a large scale for people in its temples, and senior executives at Infosys and in other technologies companies in India. When they started they brought the best thinking in manufacturing, innovation, supply chain and logistics to scale as much as possible. “Our founders were graduates from IIT and we have always believed in the power of technology to serve our purpose in the best way possible. That’s why we have key partnerships with important universities and technology companies to achieve more every day. That’s for sure one of our key advantage,” says Sayani. Being a great organisation doesn’t mean achieving big numbers, but providing solutions with a larger purpose. Akshaya Patra doesn’t compromise the quality of its meals to achieve quantity. In fact, more than that, every process is completely sustainable. Gas stoves were replaced with Oorjastoves, which use biomass pellets as fuel. The smokeless stove has a chamber for burning briquettes, a mini-fan powered by rechargeable batteries and controlled by a regulator, which blows air to fan the flames. They also have strong policies in terms of keeping the place clean in order to serve the best food possible to the children they feed. Akshaya Patra is an organisation built to grow. It is not just about being cost efficient and professional, but about its long-term vision. They believe that “No child in India shall be deprived of education because of hunger,” and they are doing whatever is possible to make that happen. At the moment they are the largest food distribution program in the world and they have a goal to distribute food to five million children by 2020. Considering their great success, it is a dream that doesn’t seem impossible to achieve.